The average rate on the 30-year fixed mortgage held steady this week, staying slightly above the lowest level on record. Low mortgage rates have aided a modest housing recovery. Mortgage buyer Freddie Mac said Thursday that the rate on the 30-year loan was unchanged at 3.55 percent. In July, the rate fell to 3.49 percent, the lowest since long-term mortgages began in the 1950s. The average on the 15-year fixed mortgage, a popular refinancing option, slipped to 2.85 percent, down from 2.86 percent last week. That’s above the record low of 2.80 percent. Want to explore monthly payments, down payments getting qualified, VA loans., VHDA Loans., USDA loans, 203k loans. 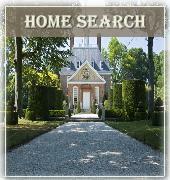 FHA loans or any other mortgage related questions for Williamsburg or Hampton Roads homes ? send me an email John@MrWilliamsburg.com and I will connect you to one of our preferred lenders.